It’s in the game: can playful digital experiences help organisations connect with audiences in new ways? With the rise of mobile usage and online connectivity, museums are increasingly exploring concepts of “gamification," play, and user-led experimentation to stimulate new ways of connecting audiences to collections. However, organizations are often unsure about what their audiences really expect, want, or need from these experiences. Using a collaborative project from Aardman and National Museums Scotland as a case study, this forum will explore a range of issues around creating playful and meaningful online experiences. In the summer of 2016, National Museums Scotland launched a new online game experience in partnership with Aardman and backed by audience research with Frankly, Green + Webb. “Gen” (http://nms.ac.uk/gen) invites users to look after a unique digital creature, diagnosing its many ailments and then treating them to restore its health using real objects from the museums’ collections. This forum will outline the core challenges of the project, exploring how lessons can be applied across the sector as museums increasingly look to embrace mobile technology and engage users with their collections in new ways. The Gen project will be considered in the context of other gamified museum projects created by Aardman, as well as widening our focus to other success stories within the museum sector. Frankly, Green + Webb will explore the importance of audience research as a fundamental building block of creative digital products and share insights from their past experience of working with museums. A range of key questions will be investigated, such as, how do agile methodologies complement projects involving elements of play? What factors influence creating an app or a Web-based product? Are heads-up experiences always better? How should you evaluate the impact of pre, during, and post-visit digital experiences? And, perhaps, most challenging, how do you shift the focus of digital production away from innovating with technology and towards innovating the user experience? With the rise of mobile usage and online connectivity, museums are exploring concepts of play to stimulate new ways of connecting audiences to collections. There is an increasing focus in the sector around how games—and concepts of “gamification”—can change or enhance the museum experience over and above a traditional or “passive” observation of collections (Ferreira, 2016). In 2017 many institutions have already embraced mobile, becoming more sophisticated in their thinking and planning, moving away from delivering information-based content on devices, and towards crafting digital experiences that meet their audience’s needs and tap into natural patterns of behavior with mobile devices (Green, Webb, & Henson, 2013). The core idea of generating exciting forms of “engagement” is often a key goal of these digital projects: to bring audiences into meaningful contact with objects and ideas through new ways of using existing technology or novel ways of telling stories online (Kartofi et al., 2016). However, many projects still progress with little knowledge of what audiences expect, want, or need from these experiences; they have too rigid a focus on delivering packaged learning outcomes; and, they compromise the user experience in favor of experimenting with new technologies and platforms (Frankly, Green + Webb, 2014). In the summer of 2016, National Museums Scotland launched a new online game in partnership with Aardman (http://www.aardman.com) and supported by dedicated audience research from Frankly Green + Webb (http://www.franklygreenwebb.com). 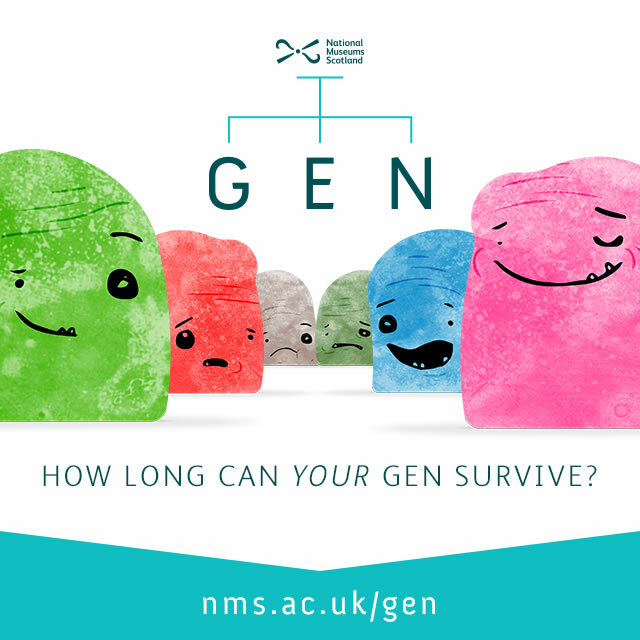 Known as “Gen” the game invites players to look after a unique digital creature, diagnosing its many ailments and then restoring its health using real objects from the Museums’ collections (http://nms.ac.uk/gen). The game is aimed primarily at young people (aged 12-25) and built on an HTML5 framework making it available to play across the Web via mobile, tablet, or desktop devices. Using Gen as a case study, this paper explores a range of issues around creating playful online experiences to engage key audiences with museum collections. It will outline the particular challenges of the project (both practical and theoretical) and seek to highlight key learnings from the collaborative processes of audience research, rapid prototyping through agile working, and making key content and technology decisions around the final user experience. We will aim to reflect our thinking outwards to the wider museum sector, drawing on previous experience to highlight shared issues and challenges. What are the potential outcomes and benefits of embedding targeted audience research into the design challenge for digital projects? How can digital teams best work with creative partners—and their wider organizations—on new online products where the endpoint is unknown? How can the focus of production be steered away from simply innovating with technology to innovating the user experience? What can the sector do to better interrogate the end goals, desired audience behaviors, and locations of gamified digital products? Born from a very specific set of circumstances (framed by both the funding requirements and the context of a specific collection of objects within new galleries), the Gen project will not be promoted here as a model for museums to replicate. Instead, we hope to point toward how the sector can think strategically about new digital products, creating them in the right way, at the right time, and for the right audience. The opportunity to design and build a new digital experience arose as part of a major capital project at the National Museum of Scotland involving the launch of ten new gallery spaces in summer 2016 covering Art, Design, and Fashion (four galleries) and Science and Technology (six galleries). The project had major support from the Heritage Lottery Fund (http://www.nms.ac.uk/about-us/press-office/2014-heritage-lottery-fund-grants-485-million) as well as other key partners, including Wellcome, to help create a Scottish center for scientific engagement with a particular focus on biomedical science (http://www.nms.ac.uk/about-us/press-office/2014-wellcome-trust-grant). As part of the Wellcome funding, budget had been allocated for the production of a “mobile app” with a simple brief of connecting audiences to the new biomedical collections in the science and technology galleries. Leading into the project we knew that a relatively healthy amount of funding was in place attached to a very open brief—often a rare thing in the sector—and that the subject matter and the specific collection was also clear. (Project funding was capped at £50,000 to include the design and build of the final product across two phases as well as marketing spend. The Audience Research element of the project was funded separately). However, although the project was repeatedly referred to as an “app,” the end product wasn’t tied to a specific type of experience or technology. The Digital Media team was keen to emphasize that these decisions had yet to be made, although we also had some instinctive reactions to the project, feeling that a trail-based experience using iBeacon or BLE technology could potentially fit the bill. It is worth noting here that National Museums Scotland has previously launched a range of mobile apps (http://nms.ac.uk/national-museum-of-scotland/discover-the-museum/museum-on-your-mobile), including a traditional “Museum Highlights” offer containing interactive maps and multi-lingual information about the collections, and the more-experimental “Capture the Museum” project based on structured group play within the museum space (http://www.capturethemuseum.com/press). The organization also has a strong track record of creating online games which continue to drive significant traffic to the “Explore” section of its website.(http://nms.ac.uk/explore/?type=13119). Nonetheless, as we approached this new project we felt there was little real internal understanding of who these products were serving, what needs they were meeting amongst visitors, and if they were having a substantial impact. The project was therefore seen as an opportunity to experiment with new ways of engaging online audiences with our collections, and to make key design decisions based on further knowledge of our audience’s needs and specific behaviors in the museum space. The original challenge for this project was to use mobile technology to help local audiences engage with biomedical science objects in the six new galleries. For organizations used to focusing on a general target audience, “local audiences” would seem like a rather small target group. But these are the people who have the opportunity to become regular visitors and members, and help develop a more resilient organization. Therefore, in uncertain economic and political times, local audiences are becoming the target audiences for organizations across the sector. As such, there is a significant increase in organizations looking to use digital to create services that encourage local audiences and repeat visits. National Museums Scotland had recently invested in a marketing segmentation of their audiences and were keen to explore whether it could be used to inform the creation of new experiences. This kind of large market segmentation can prove useful for identifying the size of the potential audience you are targeting and identifying key characteristics, which highlights opportunities that align with what you want to achieve. The original challenge identified that the group needed to be both open to using mobile technology and have curiosity about biomedical science. So, the first step was to use the audience segmentation to identify a core group of visitors—known as “Cultural Challengers” and “Zeitgeist Seekers”—who were “open” to new experiences, regular consumers of digital content, and shared a progressive outlook. Together, they make up 60% of the current National Museums Scotland local audience. Understanding the total size of the target audience allowed us to establish measures of success in terms of the proportion of this specific audience that could be reached rather than the “overall” museum visitorship. 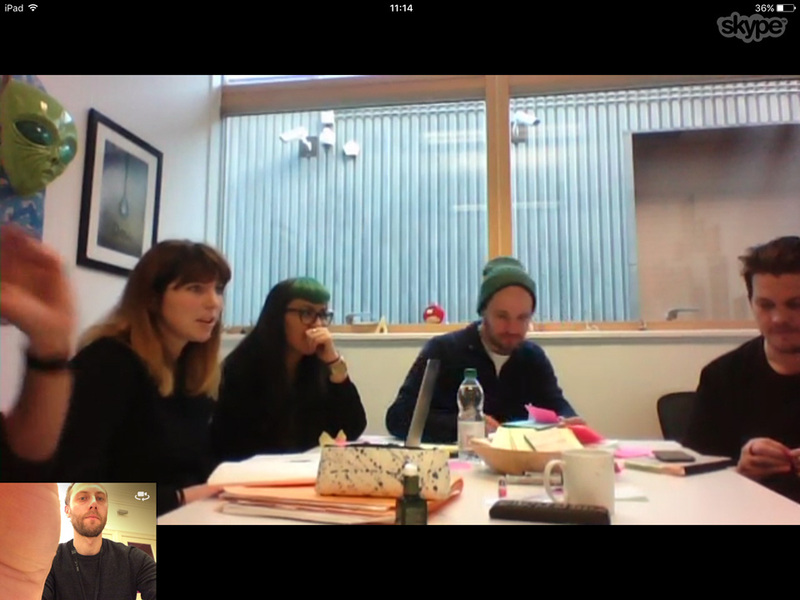 Frankly, Green + Webb carried out one-to-one empathy interviews with a group of 26 people from the target audience. These were in-depth interviews with different sorting and mapping exercises, lasting up to 40 minutes and focussing on how the visitors used the museum, why they visited, what kinds of things they used the museum for, how they used digital platforms or content, and their understanding or interest in the topics covered by the specific gallery. Open-ended questions were used to uncover both explicit and implicit needs and motivations. 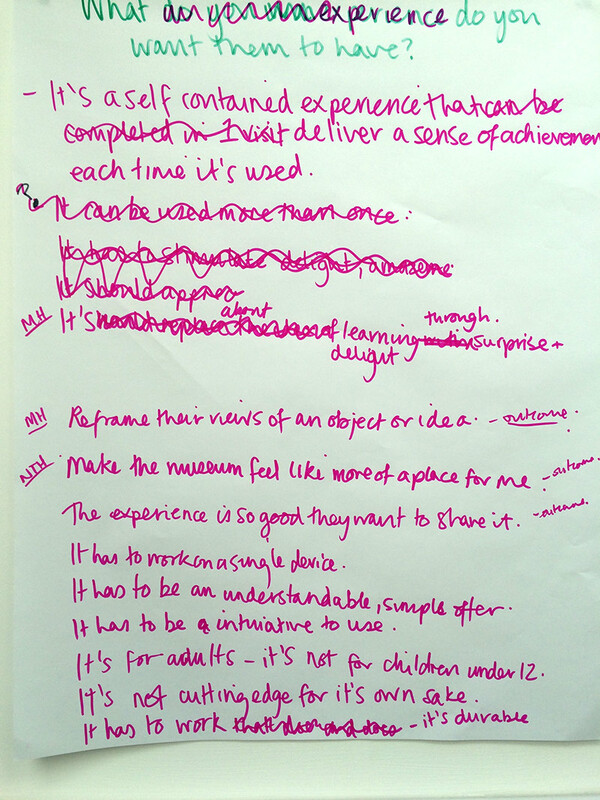 In order to get the most insight and understanding from the process, the project team at National Museums Scotland joined the interviews, read the transcripts, and co-analyzed the data through a series of workshops. This audience has very few direct touch points with the museum across their visitor journey. This audience values learning by doing, experience, and looking rather than the consumption of information in a written form. They get value from the museum through serendipitous interactions with objects; something that catches their eye. They love to explore and play with museum installations but often feel they need permission to do so. This inhibition sometimes limits the depth of their experience. This audience expects a mobile experience that exploits the mobile platform effectively and is of a high quality. The majority of this group are experienced users of mobile. The impact of being so digitally-savvy is that they understand both the value and challenges of digital. This group is selective about what they download and keep on their mobile devices, evaluating based on recommendations, data usage, and file size. The museum is not naturally seen as a place to use mobile devices beyond the practical things such as photography, social media, or checking times. Also, if they want to find out more about a specific object or subject, they know how to access specific information on their devices—usually via Google leading to “trusted” resources like Wikipedia). What does this mean for the mobile experience? When designing visitor-led experiences, understanding audience behaviors and needs can offer valuable insights that can act as either principles or requirements. In order to get to a creative product, you need to use skilled and creative designers (in this case a museum team and an outside agency) to identify what those requirements suggest in terms of product. Research can test assumptions and identify new areas of opportunity, but an organization has to be willing to “let go” of the solutions they assumed would work in the first instance. This is in direct opposition to how most funding works, where you have to identify the “thing” that will be the solution before you have carried out research into audience behaviors and needs or investigated any organizational restrictions. Even trying to market this product or service would be difficult because the visitors connected with so few of the museums touch-points. They were interested in biomedical stories, although didn’t immediately engage with “biomedicine” as a topic or over-arching term. These insights prompted the team to try to create something new and different but also recognized that they were competing in a wide and competitive market and that any new digital product would benefit from doing one thing, and one thing well. A newly-developed experience could deliver learning facilitated through playful experiences but to do so successfully and compete with mobile experiences from outside the sector, it would have to deliver at a professional quality and offer a clear USP. By engaging key stakeholders across the organization and interrogating real museum visitors, there was an initial expectation from the Digital Media team that the audience research would reveal both what type of experience to create and what type of technology to use. However, as outlined above, the research revealed inconsistent or unexpected patterns of visitor behavior exploring the museum space, interacting with collections, and using their mobile phones. Responding to this new knowledge, Frankly, Green + Webb were able to work further with the project team at National Museums Scotland to co-create a “Product Manifesto.” This turned what we discovered about our visitor group, the limitations of the project, and our ambitions for the type of experience we wanted to create, into a defined list of what the final “mobile experience” would and wouldn’t do (see figure 1 below). In effect, the Product Manifesto outlined the core creative opportunity of the project and formed the basis of the brief. Seven organizations, selected for their track record of designing high-quality digital experiences were asked to respond to this brief. From past experiences of tendering creative projects in the museum sector, we know that project briefs often suffer from being too prescriptive, containing a lot of restrictive technical information or a very set idea of the user experience and audience behavior. With this project, the museum received a wide range of high-quality responses outlining various creative routes—from Aardman’s digital creature and an app involving a mass experiment to an abstract organism fed by social interactions and a group gaming experience run within the museum spaces. For us this demonstrated that an open creative brief (with the defined parameters of a statement like the Product Manifesto) can be extremely beneficial, pushing the creative problem-solving mandate away from the museum and towards agencies selected for their specific skills, knowledge, and expertise. In short, good briefs create good responses. Figure 3: character concept designs by Aardman as part of their original project pitch. Selecting Aardman as a partner was a unanimous decision from the project team driven by the Digital Team’s creative vision of the original character, their past experience of creating engaging online games, and a desire to push the boundaries of the available technology. However, the core concept meant a fundamental shift in the focus of the project. We were no longer aiming to create a mobile experience dependent on use within the museum. Instead, the game would playable on a mobile device wherever the user was located. Alongside the audience research highlighting inconsistent patterns of visitor behavior, this decision was made easier by a growing awareness of the limited opportunity for the use of certain technologies. iBeacons and prototype Bluetooth Low Energy (BLE) set-ups were trialed and demonstrated how difficult implementation might be in the new Science and Technology galleries with the biomedical collection scattered over several floors. In addition, promotion of digital products within the museum space faced significant restrictions, including signage interrupting the visitor flow upon entry or any additional signage on object cases. As Frankly, Green + Webb have noted elsewhere, with usage of mobile products within museums there is a “direct correlation between awareness and use” (Green, 2016). Without the ability to clearly signpost and advertise the existence of a digital product there is a real risk uptake will be limited. Interestingly, another Web-based experience was created by National Museums Scotland as part of the new galleries opening. “Mode” (http://www.nms-mode.co.uk) was specifically designed to be used by visitors within the new Fashion gallery to enhance their experience of 30 items on display with additional rich media (storytelling, images and 360 photography). However, the limited promotional opportunities for the “app” within the museum and specific gallery space has directly impacted on-location usage and the majority of traffic has come from online sources. How do we ensure that the objects are visible within the game to encourage learning, and how do we provide a clear link back to the museum, either in a physical or virtual sense? How do we build an enjoyable experience which also conforms to the real-world scientific applications and effects of the objects underpinning the basic game mechanic? There is growing recognition in the sector that games can be great facilitators of the motivation and mindset required for informal science learning (Joseph, 2016). Play can be a valuable educational tool and institutions are increasingly using games in this way. Key recent examples could include the Axon game from Wellcome (http://axon.wellcomeapps.com), Rugged Rovers from the Science Museum (http://www.sciencemuseum.org.uk/online_science/games/rugged-rovers), and MicroRangers at the American Museum of Natural History (http://www.amnh.org/learn-teach/families/microrangers). Supporting this view, visitors participating in the National Museums Scotland audience research expressed a clear desire to learn and play in the museum space through serendipitous discovery and ideas of self-led experimentation. The basic design challenge given to Aardman with Gen was how to balance the desire of National Museums Scotland (to place museum objects and learning about their real-world application at the heart of the gameplay) with Aardman’s desire (to create as fun and engaging a game as possible, i.e. the best possible user experience). This tension is often inherent in game design based around museum collections or a discrete body of knowledge. Simply adding some common game elements to traditional systems (or “gamifying” them) doesn’t always create fun or engaging experiences. Mihály Csíkszentmihályi’s concept of “flow” is perhaps useful to consider here, as Jasper Visser has done recently with exhibition content in mind (Visser, 2016). Indeed, the aim of finding the right combination of difficulty and skill is also a helpful way to visualize the challenge of designing engaging games: “We have most fun, and therefore learn most, when the challenges we face are in line with our skill.” (Visser, 2016). 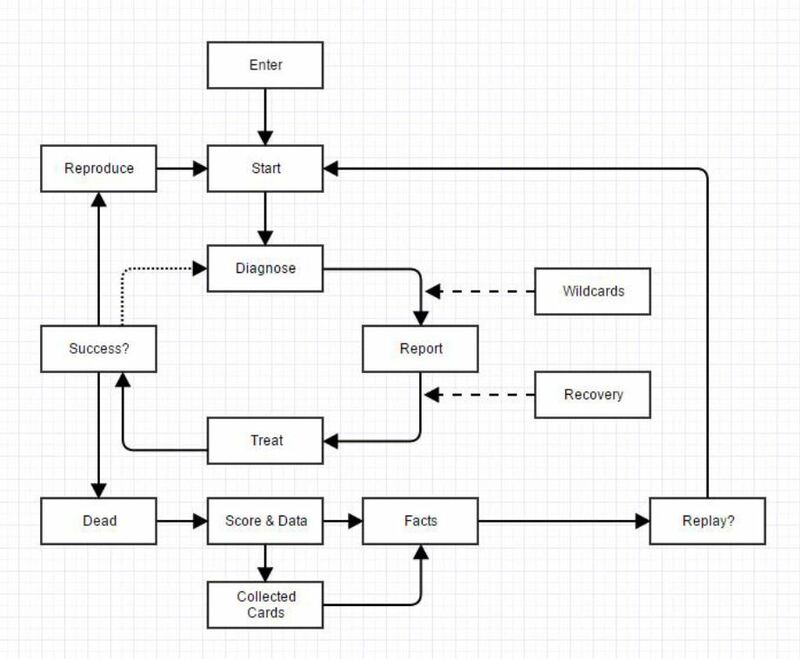 With Gen we knew what the basic game flow would look like from an early stage (see figure 5 below). The core challenge was to make the gameplay as accessible and enjoyable as possible. This meant not delivering huge amounts of factual information or too rigorous an adherence to how biomedical objects would work in real life. Games, by their nature, come with a need for understandable rules and outcomes. 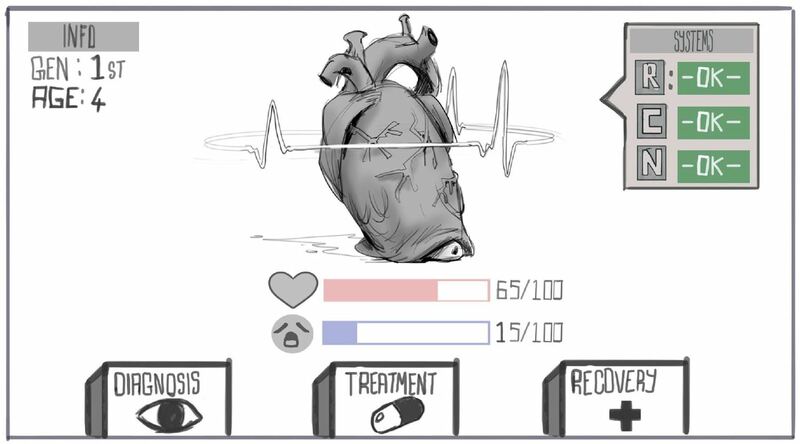 This forced a simplification of scientific reality and—despite early efforts—it proved too difficult to design a game mechanic matching up real-world illnesses with the exact objects required to diagnose them, and then the specific treatments needed to treat them. Instead—with significant input from the curatorial and learning teams at National Museums Scotland—illnesses, diagnosis objects, and treatment objects were simply allocated to one or more of the three core systems affecting the Gen creature (Respiratory, Circulatory, and Neurological) and also ordered by severity or impact. One single metric (the “health score”) then became the main measure of success or failure, allowing users to more easily understand the parameters of the gameplay and focus on their available strategic choices (which object cards to play, where and when). The creation of a make-believe creature—the Gen itself. With non-specific biomedical structures and associated behaviors, it was easier to relax the strict scientific rigor in the relationship between illnesses, diagnosis tools, and treatments. Indeed, made-up illnesses were created specifically for the Gen (e.g. 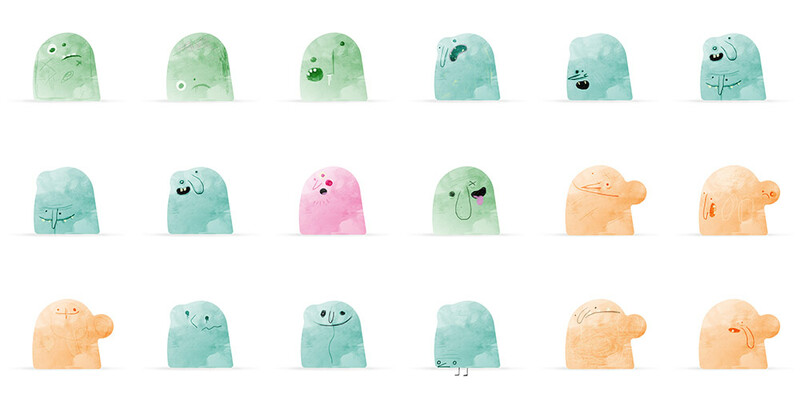 “Blobular fever,” “Discombobulation,” or “Uncontrolled wobbling”) to add randomness into the gameplay, and inject humor. 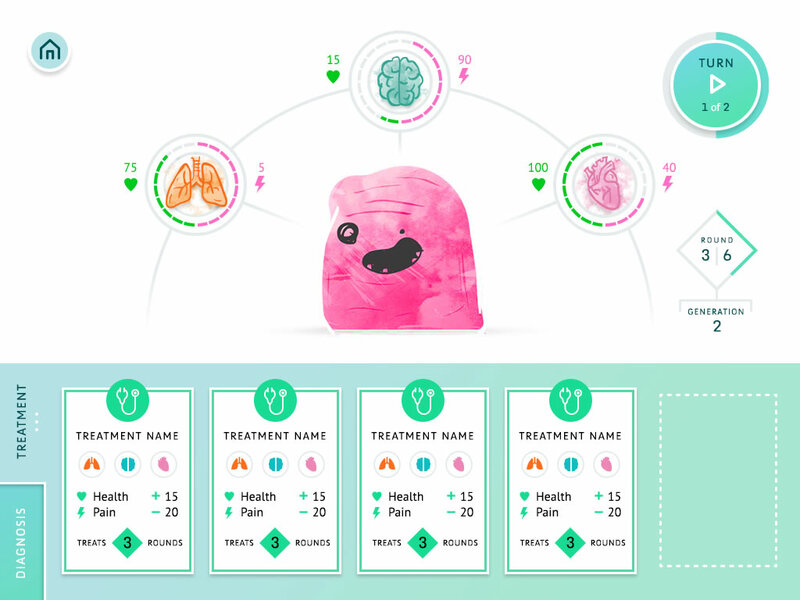 Placing this somewhat cute and lovable creature at the heart of the game sparked empathy and immediate engagement with the audience (who had indicated in the audience research that they didn’t immediately identify with “biomedicine” or “science” topics). Enhancing this emotional engagement through a witty, playful and slightly macabre tone carried through the whole game design—right down to the descriptions on the back of object cards where key facts about the objects were communicated. The addition of traditional game elements, including a high-score table, the ability to log-in and save progress, adding to your collection of object cards, shared tools, and unlocking various achievements to encourage repeat plays. The iterative design-process for Gen was facilitated by working in partnership with Aardman using agile tools and methodology. Agile is ultimately a technique to embrace unknowns within innovation and provide a framework to support change within a production process. Dedicated “sprints” were run focussing on different aspects of the game design (for example, visual language, platform development, and game balancing) and weekly meetings were held via Skype to establish priorities and tasks. In many respects, this way of working was very new to the team at the museum, especially for funded work embedded within larger capital projects run by the more traditional “waterfall” method. Both funders and senior museum staff often want to know what a product will be from the start. Not knowing this is hard, and working in an agile way can often feel like operating in a black box without a clear view of what lies ahead. For example, after several sprints exploring the game’s scoring metrics (how the Gen’s “life” would be measured and affected), we found ourselves with a prototype that was over-complicated and testing badly in paper format. However, this type of crisis moment is often a reality when innovating and creating. The framework provided by agile supports change, enabling different solutions to be tested and work to be rolled-back. In this case, a single metric (“health”) was refined through a process of scaling back original designs and re-testing. For the unique challenges Gen presented, this way of working—as well as a high-level of trust and open communication between Aardman and the museum—was essential to the creation and refinement of the game. It also enabled us to revisit the first version of the game after its launch in July 2016 to identify, through both qualitative feedback and examining gameplay analytics, the key blockers or obstacles to successful gameplay. This second design phase had been built into the project plan from the start by holding back around 20% of the overall budget. 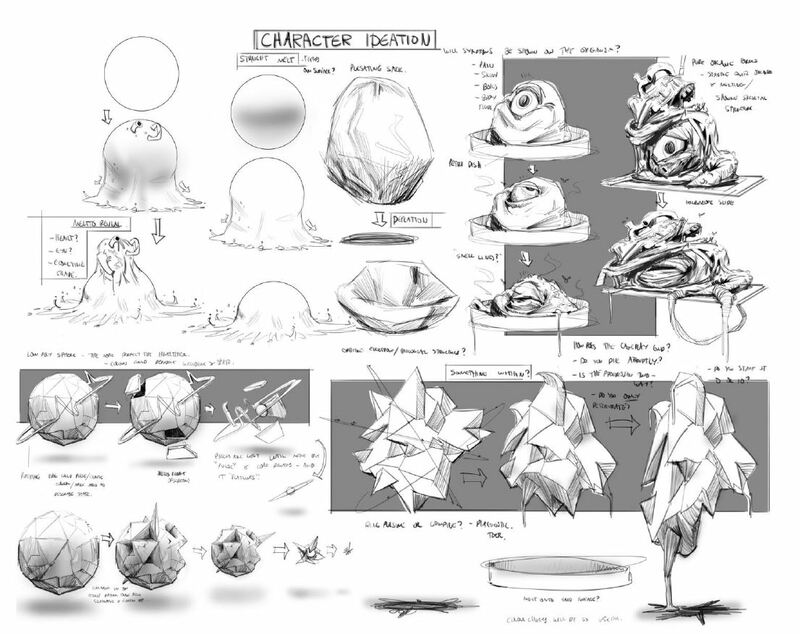 Figure 8: early designs for the main gameplay screen and metrics. Making the basic offer (“what is this?”) as clear as possible from the start and guiding the user through prompts, hints, and tips (“what do I do?”). A lot of additional development time went into both the opening sequence and the in-game tutorial as periods of user testing indicated that once players understood the basic concept and game mechanics, they would play for a long time. Balancing the game’s difficulty level to keep players engaged as long as possible and wanting to repeat the experience. Through repeated testing in both paper and digital prototypes, we sought to make small adjustments to balance the game’s challenge to players with an intuitive flow. Adding additional information about the illness afflicting the Gen to increase the game’s informal learning. Many players were clicking on the object cards to read more about them and similar factual text was written by curators at the museum and added to the illness cards. The game’s final platform is a huge decision in any project. Although gameplay can be almost identical no matter which platform is selected, the quality of the game’s interactions and visuals are significantly affected alongside its final distribution model, which often proves to be the most important factor in a games success. This decision was not made until halfway through the development process, a conscious choice as the team debated the pros and cons of all platforms. Generally, a downloadable mobile app would allow a higher quality experience, with improved graphics, interactions, and functionality, and once downloaded, a more constant relationship with the user. As a mobile app Gen would have become an experience players would dive in and out of to nurture the creature and see it change over time (much like a Tamagotchi on their phone). However, the requirement for someone to search for and download the app presents significantly higher barriers of entry than the alternative route. This alternative, an HTML5 app delivered via a Web browser, has the advantage of being accessible across all devices simply by visiting the game’s dedicated url. However, the technology is more restrictive, resulting in simpler visuals and more limited interactions—for example, how the Gen responds to prods, pokes, and cuddles! Unlike an app, users don’t have a constant “doorway” from their device to your app, and the gameplay changes to a shorter-term, more active, and repeatable experience. In the end, the final decision was substantially affected by the available marketing spend. App store’s on all platforms offer limited visibility and, as such, un-promoted apps often struggle to gain any significant traction, with downloads remaining very low in relation to the total project cost. Aardman’s recommendation for a marketing and PR budget for a new app was to match the sum of the total development budget. However, with the Gen project reserving only 5% of its total budget for marketing, an HTML5 app offered the best solution for balancing quality of product with potential audience. Even with the inherent compromises for the game’s visual and technical output, the increased online audience was deemed a more important measure of success. Over six months on from the launch of Gen at the time of writing, how successful has Gen been in meeting the project’s key design challenges? 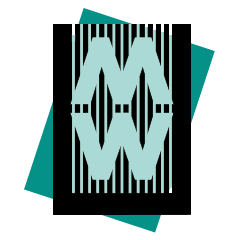 Ensuring that collection objects are visible within the game and that players are provided a link back to the museum. From July 2016 to January 2017 the game has been played over 35,000 times with an average time per session of over six minutes (a target of 50,000 plays was set for the first year). Releasing the game at the same time as ten new galleries launched at the National Museum of Scotland had an initial impact on the game’s reach, but press contacts of Aardman were leveraged to feature in high-profile publications like Design Week and other gaming websites. The game’s overall traffic was boosted by targeted paid marketing campaigns across social media platforms (Facebook, Instagram, Twitter) and around 5% of the total project budget was spent here. Interestingly, Gen was also picked up on a “webgames” thread on Reddit (https://www.reddit.com/r/WebGames), causing a significant spike in traffic over a two-week period. This type of uplift is hard to stimulate oneself; but, once identified, the Digital Team contributed to the group discussion and Reddit users even provided valuable bug-fixing feedback which was passed onto Aardman’s developers. Indeed, a key learning for the Digital Team since project launch has been the importance of planning for ongoing promotion of an online product, rather than relying on the “buzz” around a launch. The paid advertising on social platforms has created a significant uplift of base-level traffic over a long period and further marketing initiatives have been planned. These include creating an open-source 3D-printed model of the Gen character, and the possibility of seeding the game to third-party gaming platforms. Five game codes unlocking new features in the guise of power-ups were also created to be handed out in the museum space or communicated via other marketing channels. The time-on-site stats suggests a high level of engagement (or, a successful “flow”) and audience feedback has been overwhelmingly positive, with sentiment towards the Gen character particularly strong. Interestingly, the most popular action performed in game is players clicking game cards to discover more about the object—over 75,000 object cards have been clicked to read the text information. So, whilst these factors point towards the successful integration of museum objects within a game experience, a wider question raised by Gen involves the role and positioning of digital experiences. Is the creating of engaging digital products that are designed to work outside of museum spaces a legitimate end goal for museums? Are online audiences and subsequent increased exposure of a museum’s brand becoming increasingly important? Or, should digital concentrate on enhancing the visitor experience within the walls of the museum itself? Using an open process for designing the project brief and agile ways of working throughout the product development allowed the team to engage with these questions for this specific project. For example, the audience research and organizational restrictions suggested there was limited potential for an on-site (inside) mobile “app.” Armed with this knowledge and an exceptional creative response, we were able to pivot the project towards creating something for the online (outside) space. Gen is by no means a representative model to follow for museums seeking to connect digital audiences to collections, and we have not set out in this paper to present it as such. Indeed, as outlined above, it was born from a specific set of circumstances and opportunities giving rise to the core design challenge: how to create a fun, attractive, and addictive game placing real-life biomedical objects at the heart of the user experience. Deciding not to create a native mobile app but a Web-based experience accessible across all devices. These decisions were the result of the practical realities of the project’s funding, the museum environment, and the particular subject matter. But they also came about by interrogating the original project brief and aiming to innovate the user experience rather than simply experimenting with new technologies. Working in an open and collaborative way between the project partners enabled us to make these decisions with our eyes open, and learn valuable lessons as we went. Ask your audience: find out what they do in your spaces and what they need from a digital experience, but be prepared not to be provided with coherent answers or simple solutions. Recognize the restrictions: don’t create something that your organization can’t fulfill or that your audience doesn’t need. Embrace the unknown: not knowing the final shape of things is often hard, but agile ways of working provide a framework supporting change within a creative process. Be realistic about end goal: be prepared to let go of your original vision for the project (e.g. enhancing a visitor’s experience in the museum space itself) and be realistic about usage, uptake, and impact. Creating something simple is complicated: a lot of work goes into creating a simple user experience with the right balance of challenge, ease of use, and embedded learning. Be in it for the long-term: don’t let your project whither after launch, but build in long-term promotional strategies and be prepared to revisit; find the blockers to success and revise. With thanks to Lindsey Green and Alyson Webb at Frankly, Green + Webb (http://www.franklygreenwebb.com); Aardman (http://www.aardman.com); Wellcome (https://wellcome.ac.uk); key project staff at National Museums Scotland who were heavily involved in the project, including Sophie Goggins, Assistant Curator—Biomedicine, Alistair Floyd, Learning Officer, Hugh Wallace, former Head of Digital Media and Elaine MacIntyre, Digital Media Content Manager. This project also received substantial input from curators in the Science and Technology department, the members of the Digital Media team, and a wider pool of external reviewers, testing the different versions of the game and peer-reviewing the game’s biomedical content. Mann, L., & G. Tung. (2015). “A new look at an old friend: Reevaluating the Met’s audio-guide service.” MW2015: Museums and the Web 2015. Published February 1, 2015. Consulted January 31, 2017.
. "It’s in the game: can playful digital experiences help organisations connect with audiences in new ways?." MW17: MW 2017. Published January 31, 2017. Consulted .